Chloe Walsh, Di Lincoln, Frank Lincoln, Jack Howker taking a break at Driver Training at Lumen Christi Catholic College. In July, Year 10 PDHPE students at Lumen Christi participated in a road simulator experience to gather valuable knowledge of road rules. There was also a focus on two topical and potential teenage habits of texting while driving and driving under the influence. This was all done as a part of their “Safer Celebration” unit which encompasses driver education. 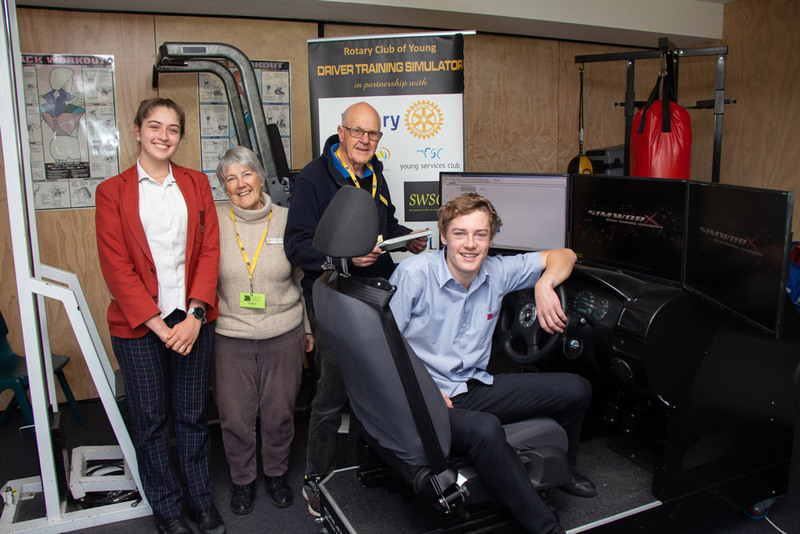 The Rotary Club of Young kindly loaned their $40,000 driving simulator to Lumen Christi with Merimbula and Bega Rotary Clubs donating funds to help subsidise costs to the school. Volunteers Frank and Di from the Young Rotary Club guided students through the simulation experience ensuring that students had the unique opportunity to experience potential dangers in a safe way. Students at the College found the experience to be invaluable and were surprised to find out that the simulator is the only one of its kind in Australia. 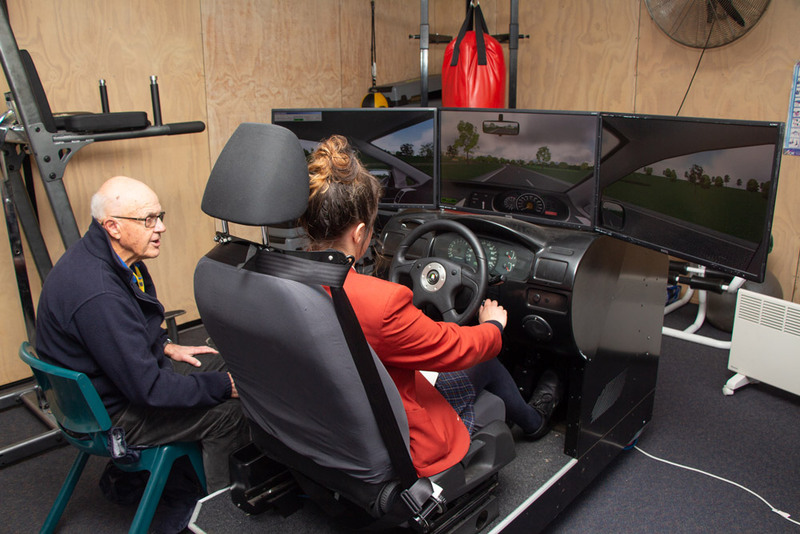 Year 10 student Chloe Buckmaster said that it was good to know what it was like to drive under the influence because it changes how you drive, your responses are delayed and your sight is affected. Annalise Piotrowski attempted texting while driving and found the experience to feel very realistic. Annalise said that it showed her that glancing away for just a second changes everything. 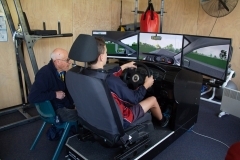 Lachlan Trickey also found the experience worthwhile saying that he found it much harder to control the car when driving under the influence and he was now more confident to get behind the wheel. Students that participated in the driving simulation developed a greater understanding of the risks associated and it is hoped that the experience may help reduce fatalities and any incidences on our roads.